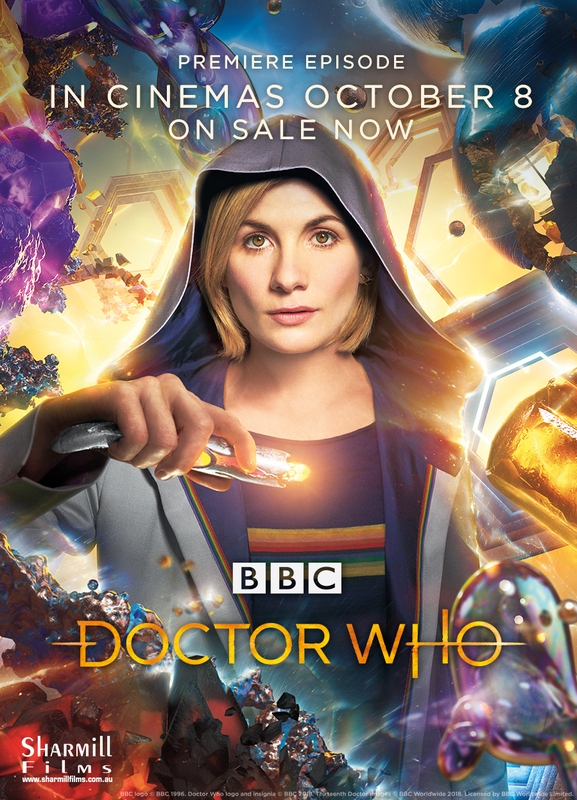 Drawing inspiration from the Thirteenth Doctor’s outfit and reveal video, BBC Studios have launched a new campaign encouraging Doctor Who fans to get behind Jodie Whittaker as the role model we’ve all been waiting for! #RaiseYourHoods recognises the Thirteenth Doctor’s hood as a symbol of strength, empowerment and solidarity. It doesn’t matter who you are, how you identify or where you come from – raising your hood makes you a supporter and creates an all-inclusive moment to celebrate everyone. To support the campaign, simply take a selfie of you raising your hood for awesome people that you know and love. Then post your pic on the social media site of your choice, saying who you are raising your hood for and why they are awesome. Finally, nominate a friend to take the challenge and add #RaiseYourHoods and #ItsAboutTime to support the cause. To link it back to Doctor Who, also include #ABCTV, #DoctorWho and tag @abctv. The BBC has released its most extensive trailer for Series 11 of Doctor Who yet, showcasing the Thirteenth Doctor in action in an array of sci-fi settings – with her new companions by her side. 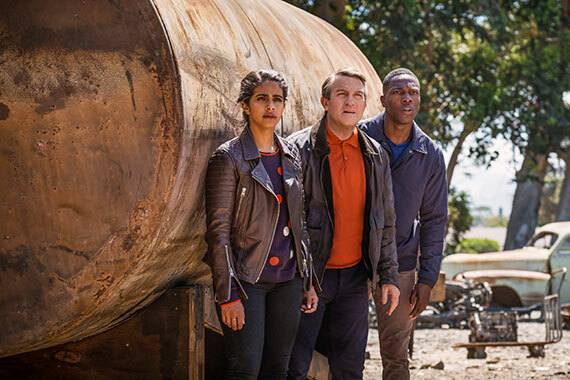 The ABC has meanwhile confirmed that the new series will air on its main channel from 5:55pm, starting on Monday 8 October, with Whovians at 7:30pm on ABC Comedy. Each episode will also be on iview immediately after it finishes airing in the UK. Do you want to be part of Series 2 of Whovians? Australia’s own Doctor Who panel show, Whovians, is back on 8 October, airing immediately after the first episode of Series 11. And you’re invited to be a part of the studio audience! Free tickets are now available to the first three episodes of Whovians, filming at the ABC’s Sydney studio from 11am each Monday from 8 October. This is your chance to join Rove McManus and his team of superfans as they dissect, delve into and delight in the world of Doctor Who – you’ll even get a chance to watch the latest episode straight from the UK before the show begins! Tickets are limited, so register now by clicking here. But wait, there’s more! The Whovians team will also be appearing at Sydney’s Kings Comics on 24 September at 5pm, and they want to hear your thoughts on the new series! The team is keen to meet as many fans as possible, so don’t be shy – come along to Kings Comics at 403 George St, Sydney and have your say! THE excitement is ramping up to eleven (or is that 13?) as the countdown continues to the new series with the synopsis for episodes one and two and a new image released this week. The new image features the whole TARDIS team in suitable action poses while the supporting BBC press release offers up some brief comments from Chibnall, Whittaker and Bradley Walsh (who we’re of course all about to know better as Graham O’Brien). 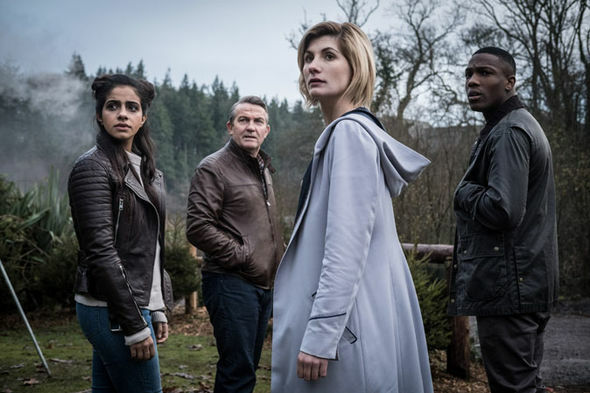 It also reiterates that the first episode will be called The Woman Who Fell To Earth while the second is The Ghost Monument. It is now less than a month until the new Doctor hits Australian screens (big and small) on Monday, 8 October. “Finally – Jodie Whittaker’s Thirteenth Doctor is about to crash land on to the nation’s screens,” Chibnall said via the latest release. “It’s thrilling to think, in the next few weeks and months, there will be children encountering Jodie’s Doctor in the next few weeks who’ve never seen the show before. She’ll be forever their Doctor: you never forget your first. Chibnall went on to describe what we could all expect from the new series. “You can expect a lot of humour, a lot of warmth and some great characters. “Four great new friends for you to meet as they go through past, present and future and meet some incredible people from history and go and battle on alien planets and fight threats closer to home. Asked to describe the new series in a sentence Bradley Walsh proved less than succinct. “This new dawn for Doctor Who will be ground­ breaking and exciting and fantastic and unpredictable and beautiful and timeless,” he said. Whittaker herself was asked what the themes of the series would be. “Friendship and loyalty and survival. All things that are very human, interlaced with things that are very far from human and familiar. It’s a very inclusive world,” she nominated. Although an exact airdate for Doctor Who’s eleventh series is yet to be announced, the BBC has confirmed in the latest issue of Radio Times that it will air “by October”. That means a start date sometime in September or October, which could result in the ten-episode series ending close to Christmas Day – just in time for a 2018 Christmas special. Speculation has been rife for months as to whether the annual tradition will continue under new showrunner Chris Chibnall, with its existence first hinted at when the online CV of editor Edel McDonnell listed this year’s special as one of his most recent jobs. The CV also listed Wayne Yip as director of the special, whose previous work includes Series 10 episodes The Lie of the Land and Empress of Mars as well as two episodes of spin-off series Class. The news was more or less confirmed by Chibnall at San Diego Comic-Con, when he teased, “We seem to be filming 11 episodes, and it’s only a series of 10.” And with Yip not listed as one of the directors working on the upcoming series, this would seem to indicate that the Christmas episode would count as its own special event. 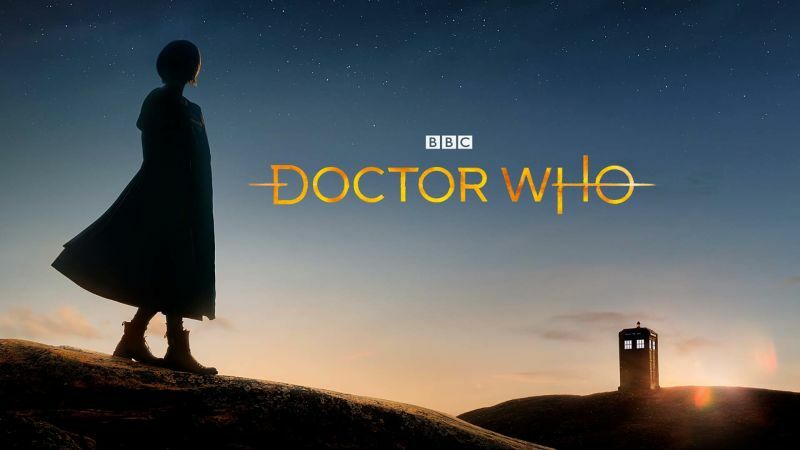 Sharmill Films has meanwhile revealed that the first episode of Series 11 will be premiering in Australian cinemas, as was the debut episode of Series 10, The Pilot. The company has released its version of the official Series 11 trailer in the lead-up to the screening, promising more details soon! Overnight, we saw the release of the first promotional image of the new Doctor’s sonic screwdriver. But perhaps more importantly, we have a new trailer for Series 11! Check them both out below! 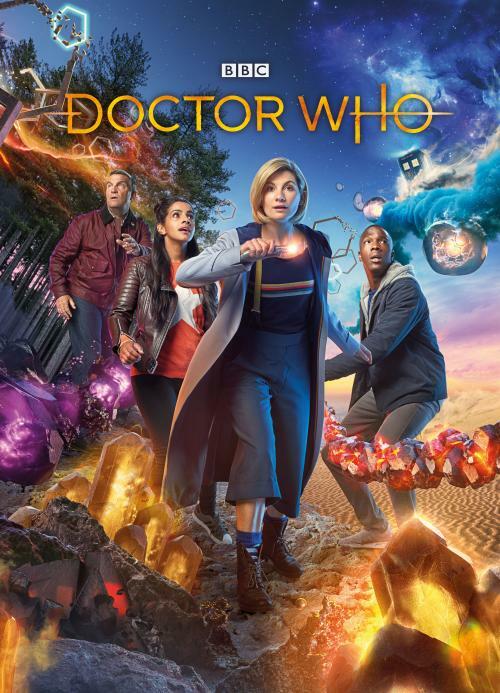 The image and trailer come just a few days after the BBC released a much-anticipated teaser for Series 11, broadcast during the World Cup final match in Russia. 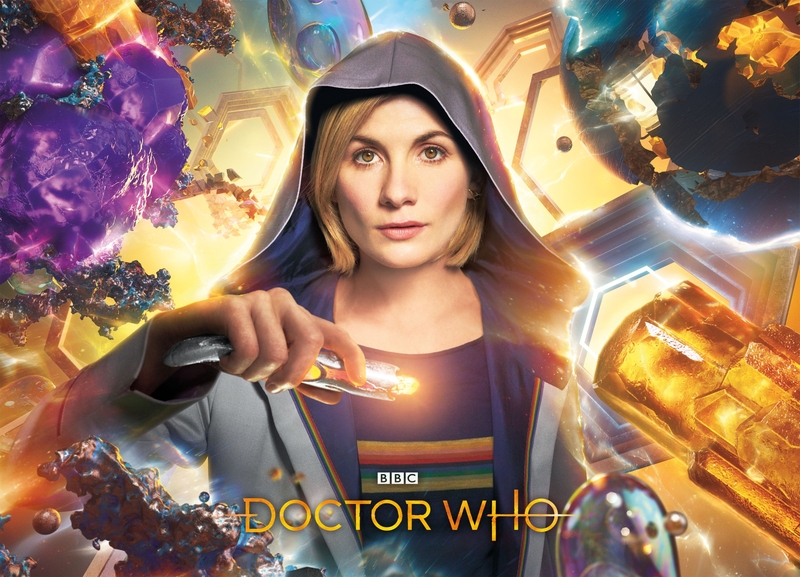 Early this morning, the BBC released a much-anticipated teaser trailer for Series 11 of Doctor Who during the World Cup final match in Russia. Currently there is no air date for Australia, but we will advise as soon as we know.